The wet season is finally over, it went out with a bang (cyclone Ita) this time. Insects are around throughout the year, but summer is the best season to find them, they are more active and numerous. Mayuko , a very keen and knowledgeable 12-year-old visitor from Tokyo , could teach us a thing or three about finding and observing stick insects and other more minute critters. Occasionally, we set up a mercury light and a white sheet in the evening to attract flying insects. You never know which fly-by-nighter might be lured down from the sky. 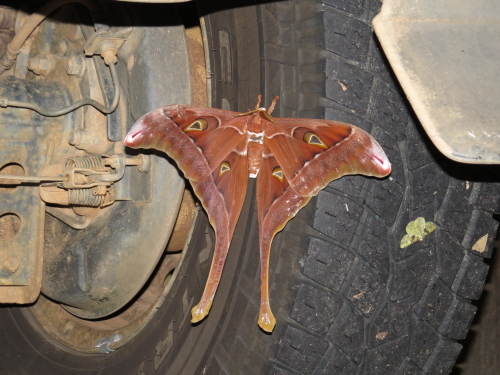 One evening we had 3 Hercules Moths (Coscinocera hercules), one of the world’s largest moth, and several Rhinoceros beetles (Xylotrupes ulysses), as well as almost 30 species of other moths and beetles, katydids and cicadas. Hercules Moths are members of the Saturnidae family, females have the largest wing area of any moth in the world and a wing span of about 27 cm, the males have very elongated hind wings. They do not feed as adults (their caterpillars, of course, have a voracious appetite and grow to 12 cm long), and only live for a few days. 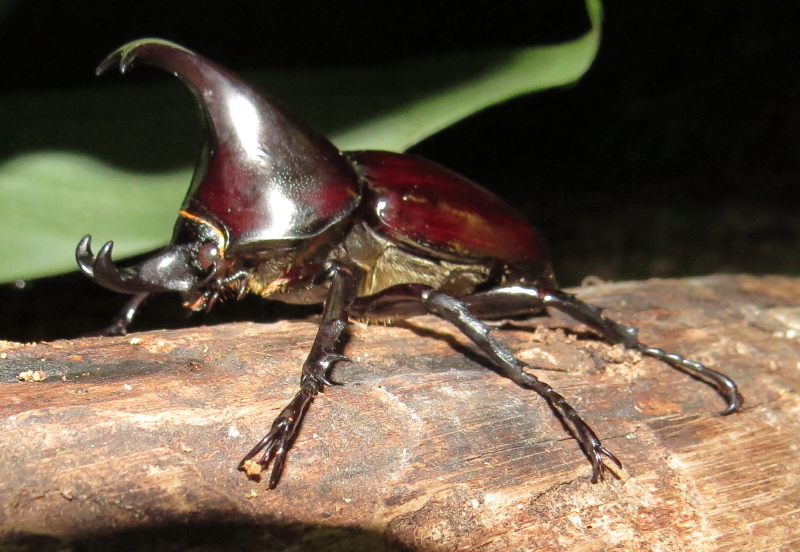 Rhinoceros Beetles belong to the scarab family (Scarabaeidae), males sport 2 large, slightly forked horns, which they use to wrestle with other males. They grow to about 60 mm long, and, supposedly, are able to lift 850 times their own weight (they weigh about 85 g). 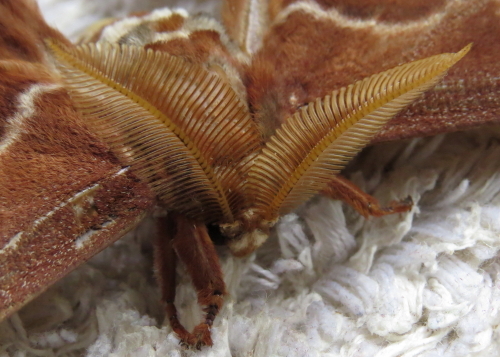 They make a surprisingly loud hissing noise (by rubbing their abdomen against the ends of the wing covers), when one tries to pick them up – quite an effective deterrent , if you do not expect it. 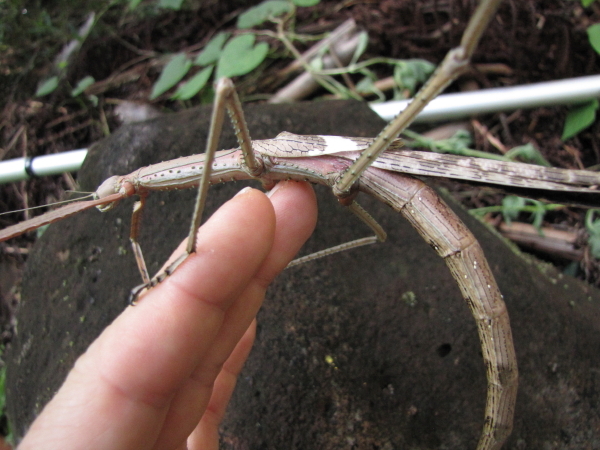 Kuranda is an entomologist’s paradise, and we have quite a number of experts living here.